Welcome to #PlayfulPreschool! This week our theme is the earth. 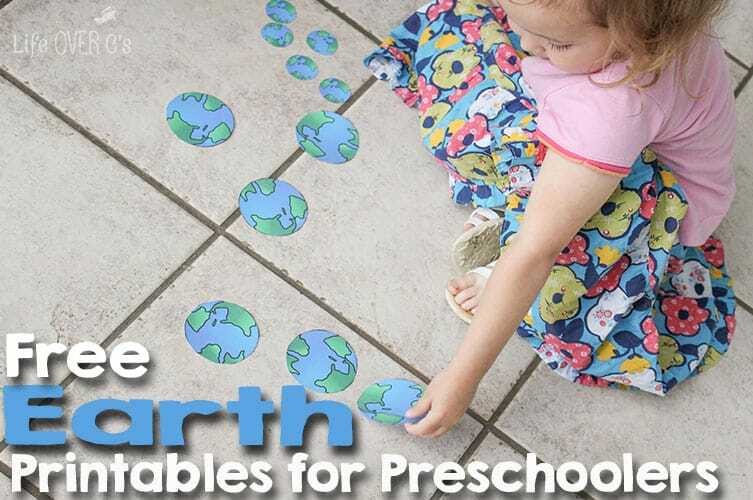 All of the blogs on the #PlayfulPreschool team are sharing activities that can be included in a unit to learn all about the earth! 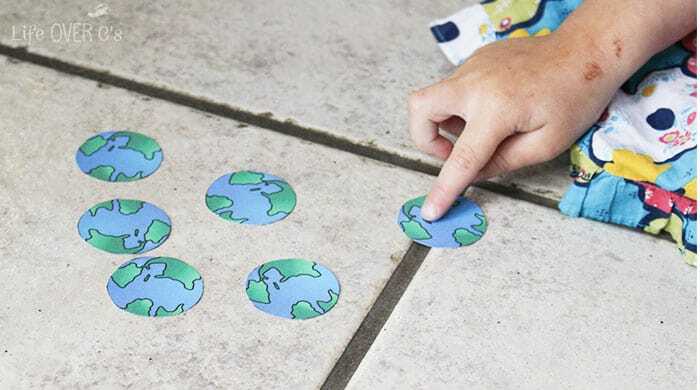 From the layers of the earth to creatures that live “in” the earth, we got you covered when it comes to hands-on activities for your earth theme this month! 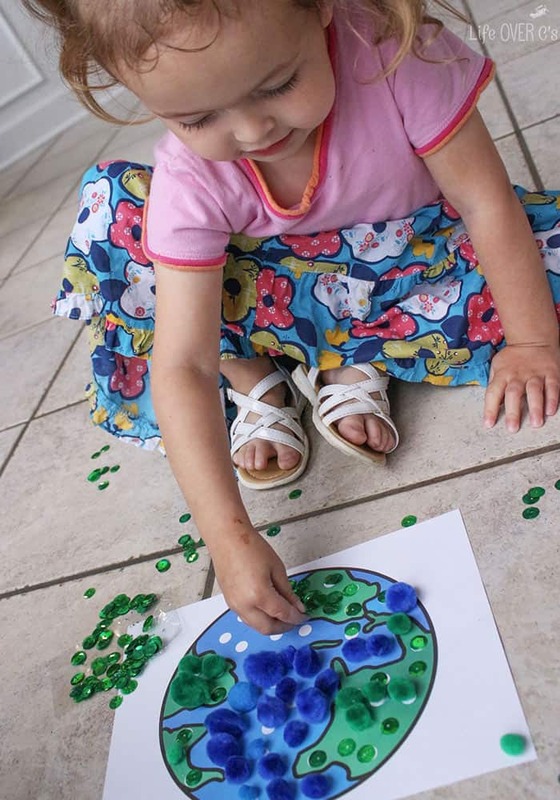 We took a bit of a twist on the earth theme because Shiloh doesn’t even know what the earth is, so I’m going to share some tips on building language skills for preschoolers with some free printables. I’ll be perfectly honest, until I was blessed to have Shiloh in my life, I took language skills mostly for granted. Even with my three other girls, we never really needed to focus specifically on speech and language skills. With Shiloh, I have become painfully aware of how important practicing language skills can be. For many toddlers and preschoolers it is natural for them to understand concepts such as big and small, far and close, and even bigger concepts like planets and the very earth on which we live. We talk about it with them once, read a book about it, or look at some pictures and the majority of kids can understand those things. Shiloh celebrated her 4th birthday last month and this month we have been working on the concept of big and small. We did a sticker activity a few days ago, that she really enjoyed and we’ve been mentioning it off and on throughout our days. To her, this is a big concept. As a special needs child, Shiloh’s understanding is just around the 30-month-old mark and her speech skills are a little bit behind that. We used this free earth printable to reinforce the concept of big and small. Simply print the PDF and cut out the ‘earths’ that are on the 3rd page. So, we enlisted Daddy’s help. He showed her a small earth and put it back down on the floor. Then, we asked her again to show us a small earth. This time she did it! We had her put all the small earths to her right side. Then, we moved on to the big earths. We asked her where a big earth was. You would think that because there were only big earths left, that this would be an easy question. It took a couple tries, but she got it. Then we moved on to work on colors and fine-motor skills. We work on colors a lot, but she doesn’t really grasp the concept. Sometimes she will randomly get a color right, but most of the time it’s guessing. 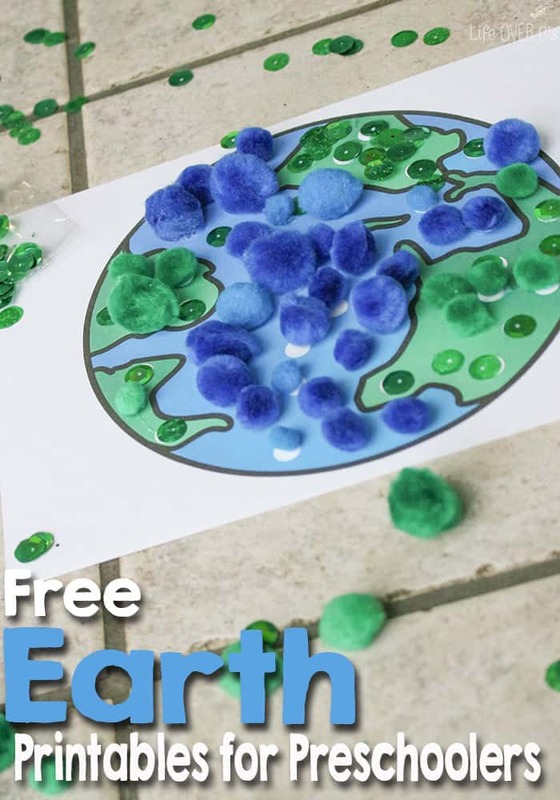 This fine-motor earth printable gives lots of opportunities to say the colors ‘green’ and ‘blue’. I started off by putting glue on one dot at a time and helping her put a pom pom on the correct colors. Then, I put glue on all the dots and we worked together to put the pom poms and sequins on. Ask the child 3 times to repeat the word. If she does not repeat it, move on. Continuing to ask will only frustrate you and the child. Use concrete things to demonstrate the words when possible. For nouns, show the object. For verbs, do the action. For adjectives, show the same adjective in relation to multiple objects, so that the child understands you are not naming the object, but describing something that can apply to multiple objects: fuzzy teddy bear, fuzzy dog, fuzzy sweater or red triangle, red square, red circle. Narrate to yourself. Talk about simple actions that you are performing. Do not take any situation for granted. You think yellow buses driving by are boring, but that can be a new set of words for your child! Use hand gestures. 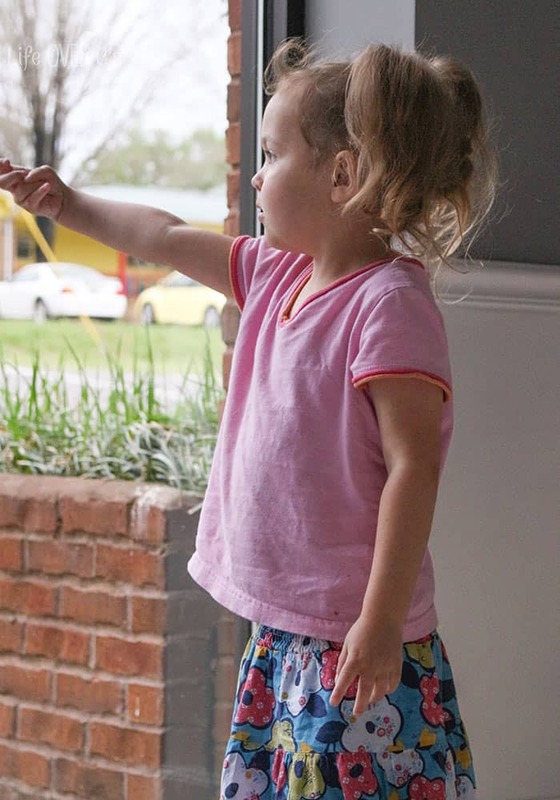 Even if you do not use formal sign language, using the same gesture every time you mention a certain concept, can help kids bridge the gap between non-verbal and verbal. Shiloh has created her own sign for “please”. When you ask her “What do you say?” as she asks for something, she will sign 100% of the time and say it about 25% of the time. Review, review, review. Use every opportunity possible to review things that you have been working on. 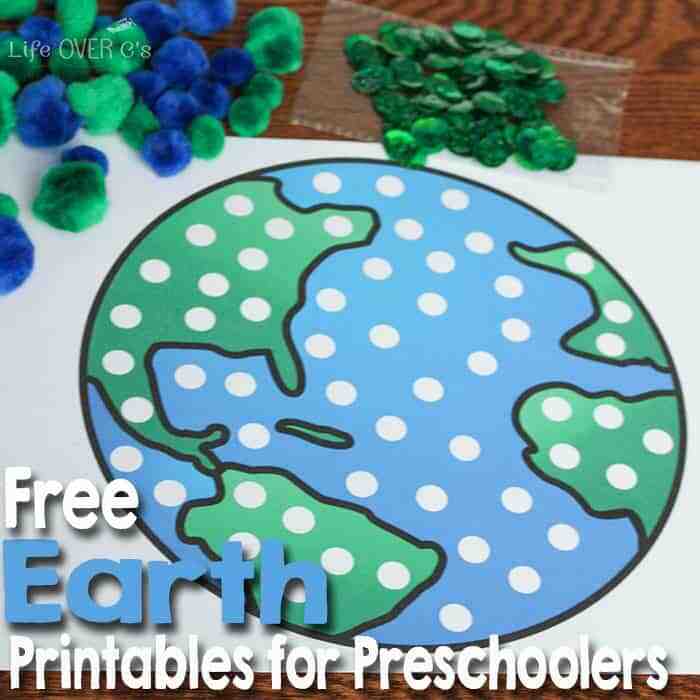 Download the Free Earth Printables for Preschoolers here. 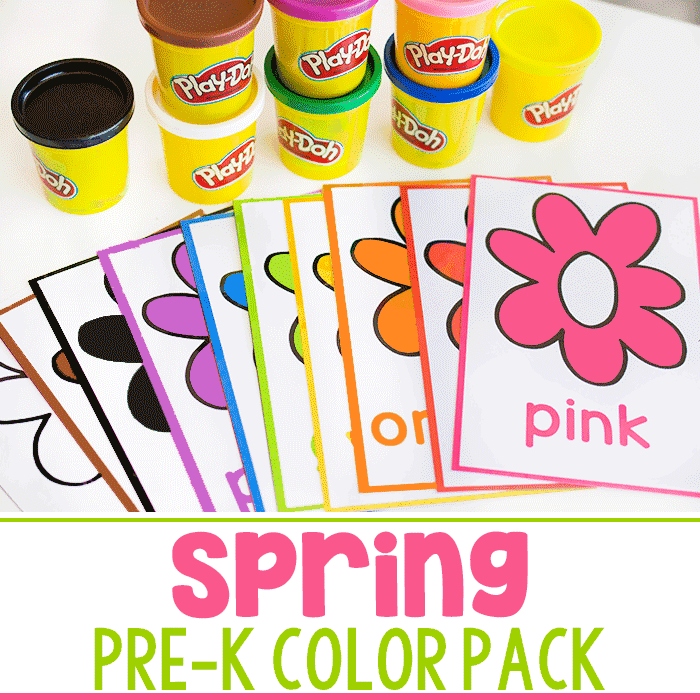 Check out the other great activities from the #PlayfulPreschool team! 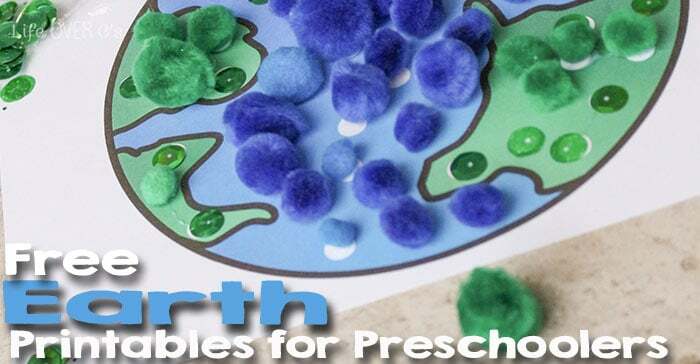 Earth Day Preschool Math and Sensory Play – Fun-A-Day! This is so smart and adaptable for all children. I love how you are constantly aware of her current needs and abilities and adapting to them in your lessons. You’re such a great momma! Aw! Thank you! I’m trying! This is really great, Kim! I am going to do this with my toddler. What a fun activity. I love your free printables. Thank you for providing this great activity. I’m off to pin this now. Fantastic language skill building activity – you are fantastic that you adapt and change the activity to suit your daughters needs. 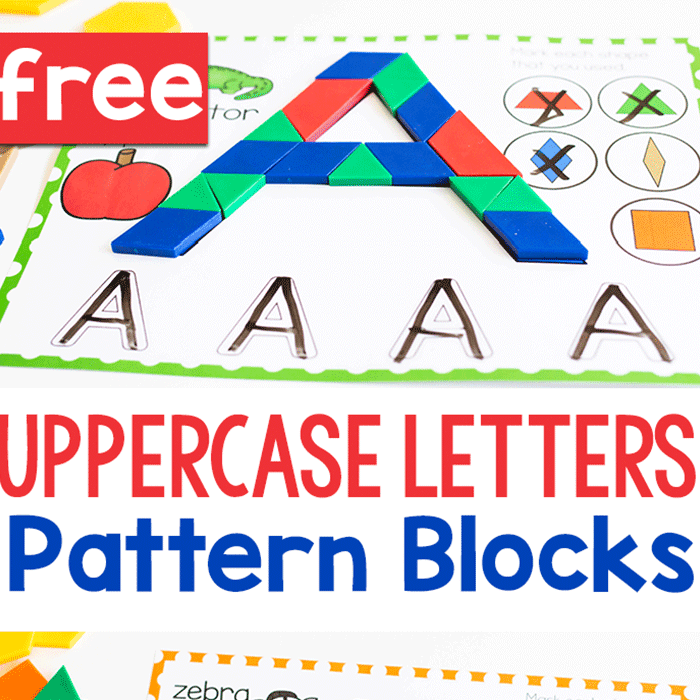 I love the printable and will be using it with T for ordering and sorting this week. I hope your little one enjoys it! 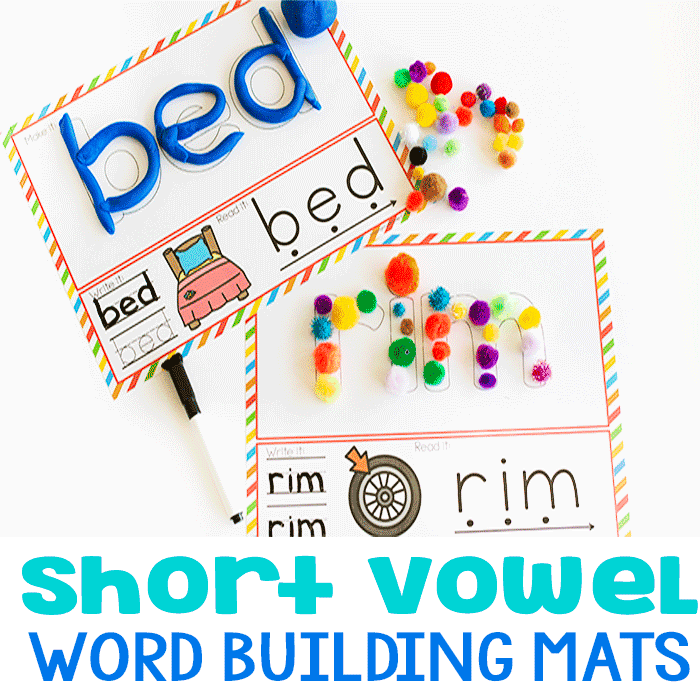 Love the printables (and will use them soon) and the language development! Even more so, I always love reading how well you adapt your teachings to S’s individual needs! I love the fine motor activities. Sequins make everything more fun!